« Last page of the mystery novel! Just when I thought it was safe…………. Just when I thought I had found all the ‘left-over-demo-bits’ then there was one more! I had made a promise to myself that I would not waste them, so quickly made these two cards so that now I can get on with other ‘stuff’ without feeling guilty. 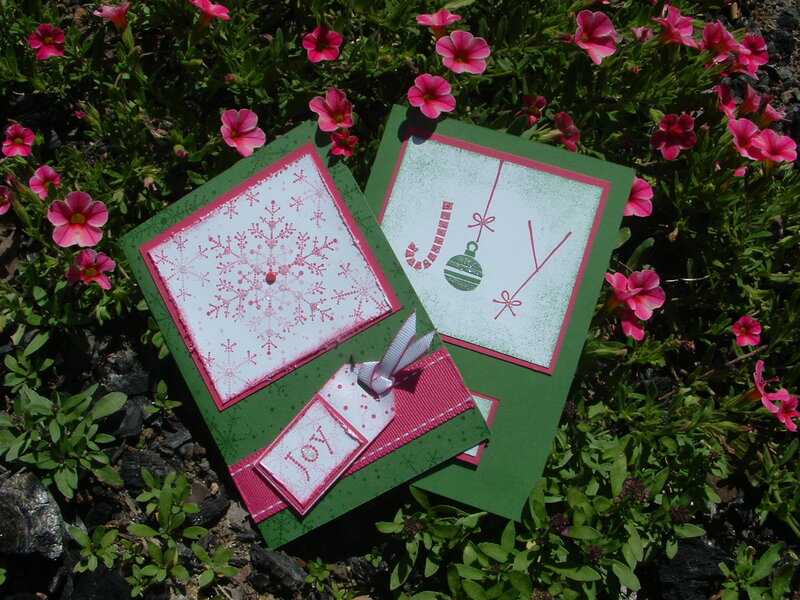 The top card uses The Snowflake Spot and pen to rubber (check out the special this month on individual pens). I inked up the stamp with pretty in pink and then highlighted the outside with rose red. The bottom card uses Hung Up on Holidays. Added some sponging and bling and I’m free to start over again.